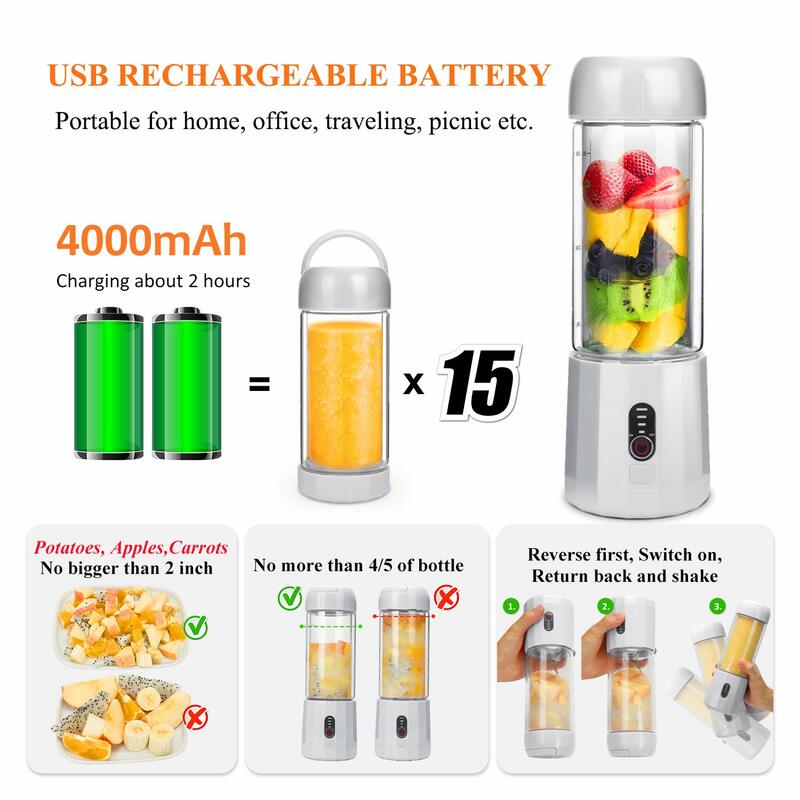 USB RECHARGEABLE BLENDER WITH TRAVEL LID, TAKE IT WHEREVER YOU GO: The USB juice blender built-in rechargeable 4000mAh lithium-ion battery, which can be charged by power bank, car, laptop, socket etc. 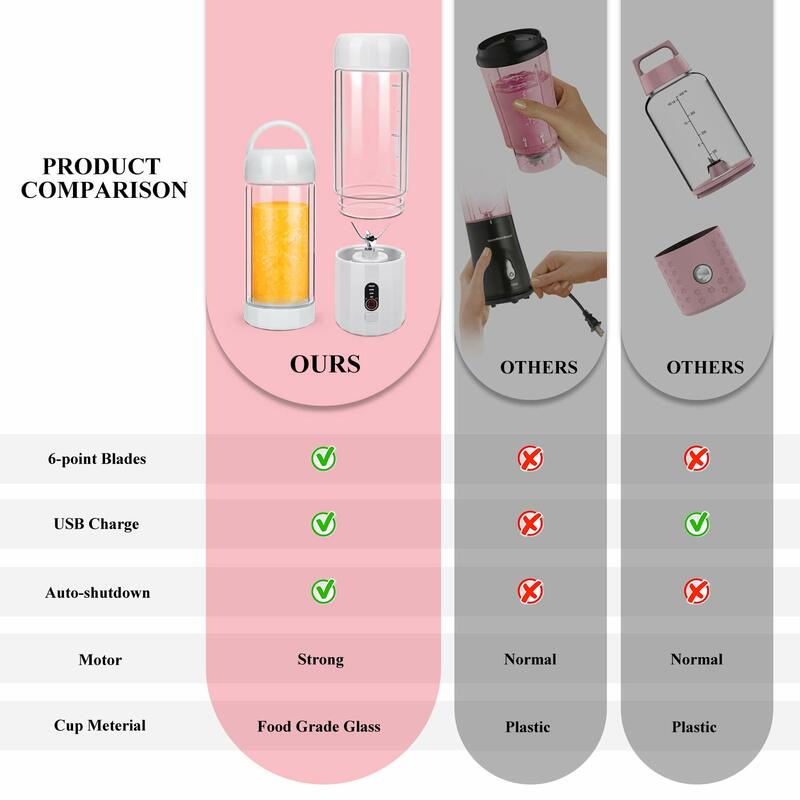 Every charge can produce 15~20 cups drinks(400ml per cup). 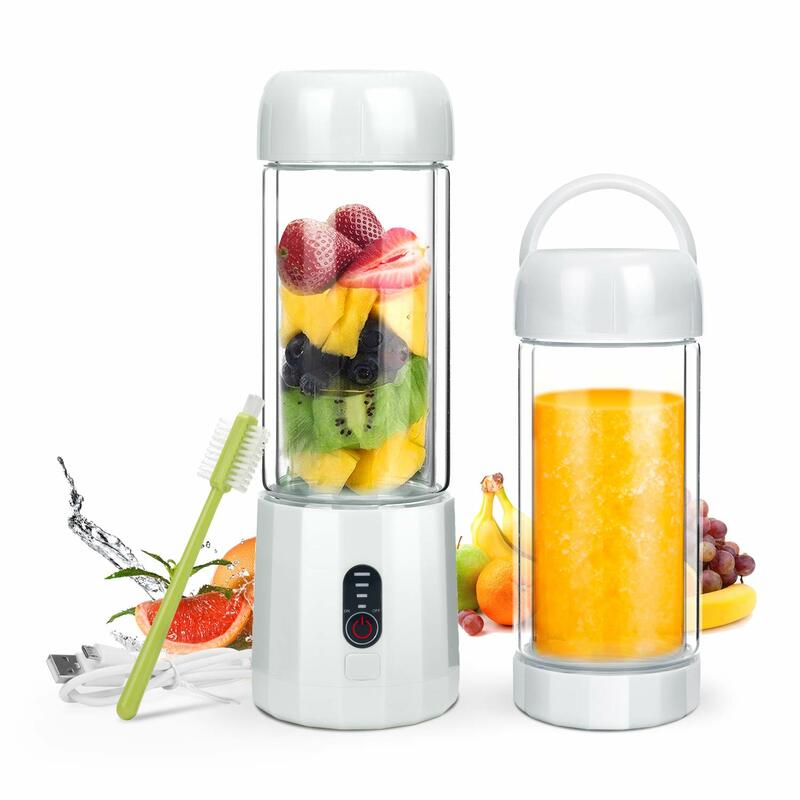 Take the blender to picnic, traveling, gym makes it easy to have a nutritious beverage on the go. 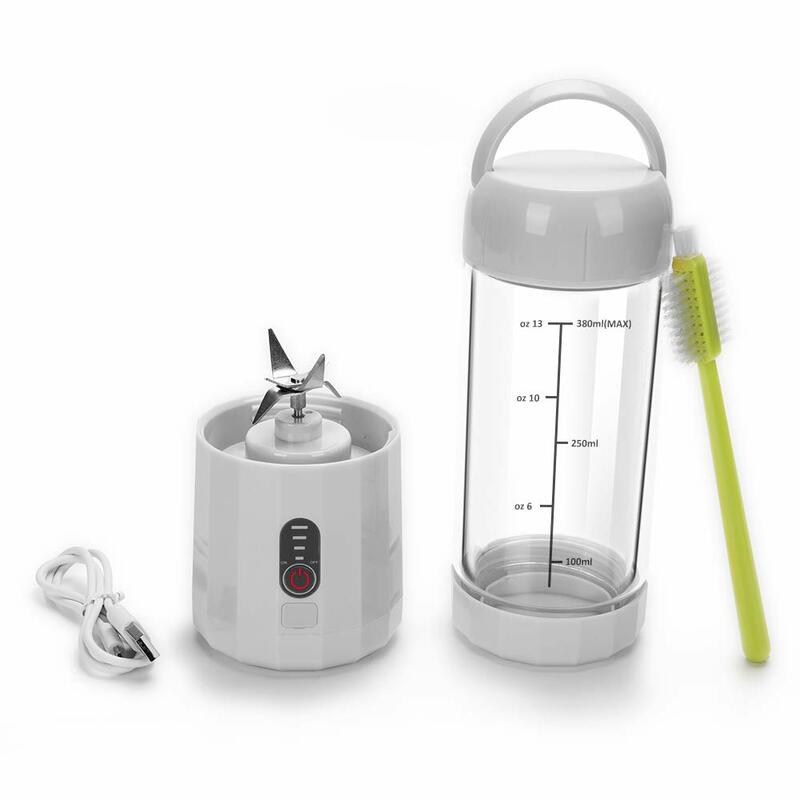 This mini blender works way quieter than traditional blenders, no so much noise. 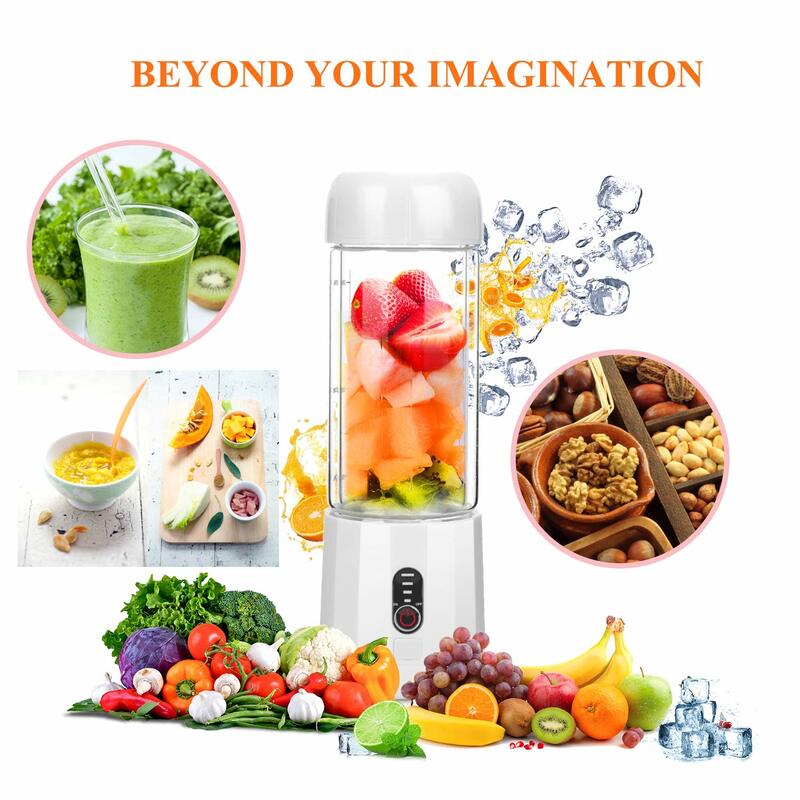 POWERFUL MOTOR AND SHARP BLADE, MIX ICE CUBE AND HARD VEGETABLES/FRUITS: This powerful smoothie blender features 3D 6-point 304 stainless steel blender blade, 2x2000mAh Lithium Battery, powering a 7.4V motor in 22,000 revolutions per minute, easily blend smoothies and shakes using either frozen or fresh fruit in the mixture，like carrots, cucumber, potatoes, apples, cantaloupe etc. Try me, you won't be disappointed! 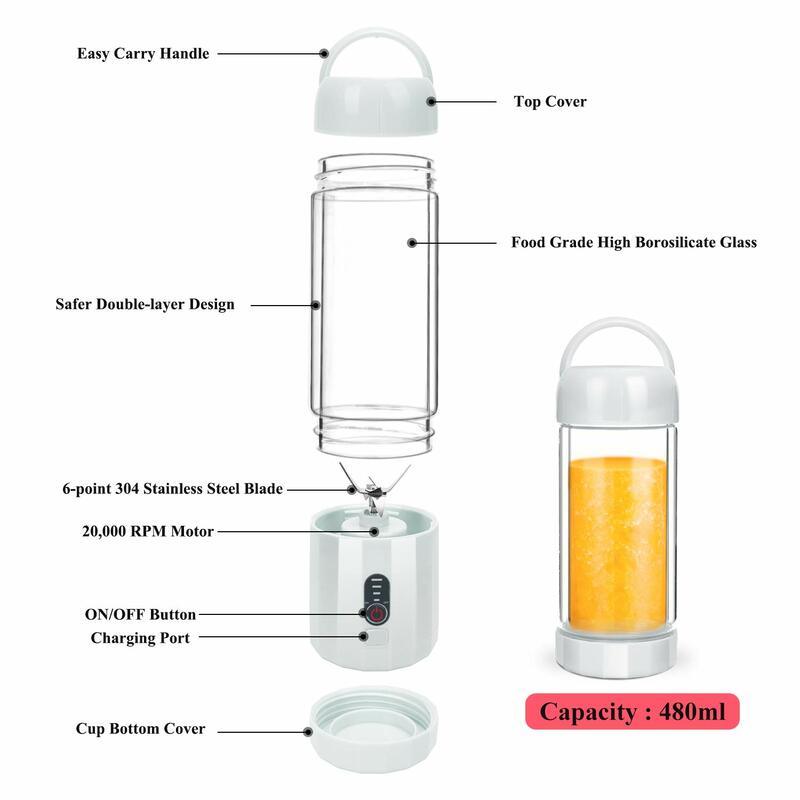 AUTO SHUT DOWN SECURITY PROTECTION, SINGLE-BUTTON OPERATION, SAFE AND DURABLE: This is the safest portable smoothie blenders in the world because it features security protection, which ensures the personal blender will not operate if the base is improperly or not assembled. 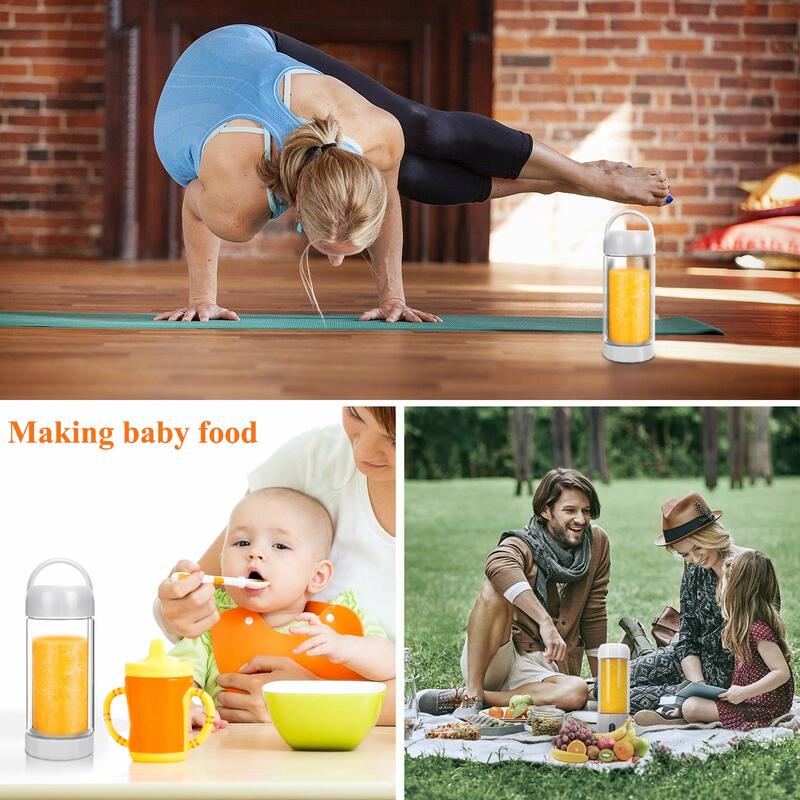 When the base is charging, you can't operate it, this is safe for kids at home. Built-in safety features prevent overheating. 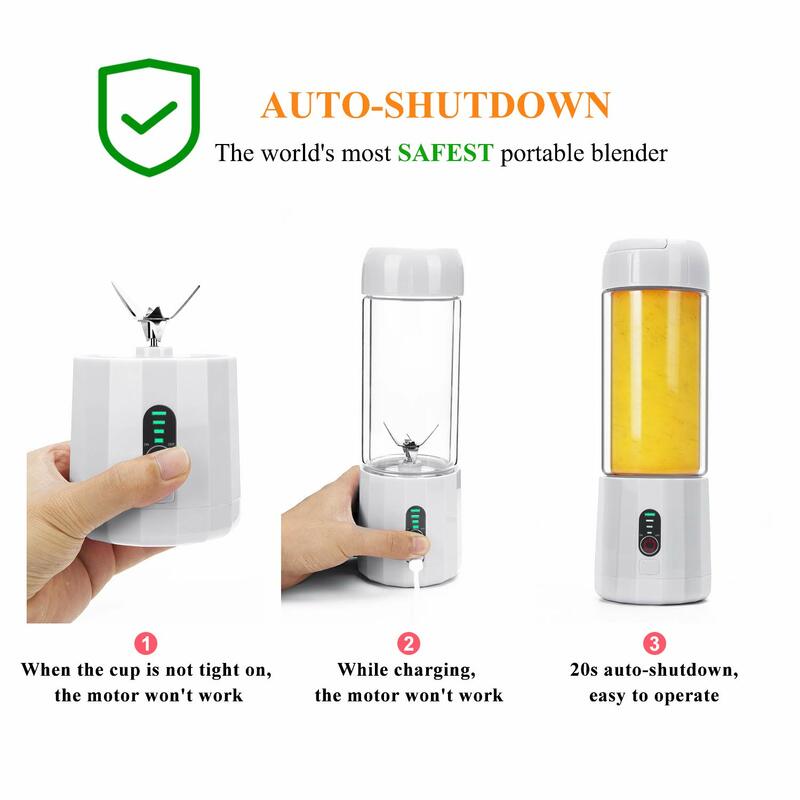 After blending 20sec, it will auto shut off. Simple one-touch operation with On/Pulse button.